Matching football kits and boots are becoming a bit of a fashion statement these days. Whether it's just the socks and boots, or the full kit from top to toe, even at the highest level there's evidence of such aesthetics being consciously decided upon. And of course, how Neymar and co. look is always likely to be imitated. If you're young enough to get away with playing in Barcelona's full kit at training, then take note - this is the blog for you! If your kit doesn't match your football boots, then you're open to ridicule. However, if they do match, you'll be the envy of all your teammates. FOOTY.COM has done the homework for you. 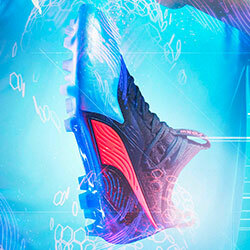 Nike Football have turned heads with some of their colourful releases lately. 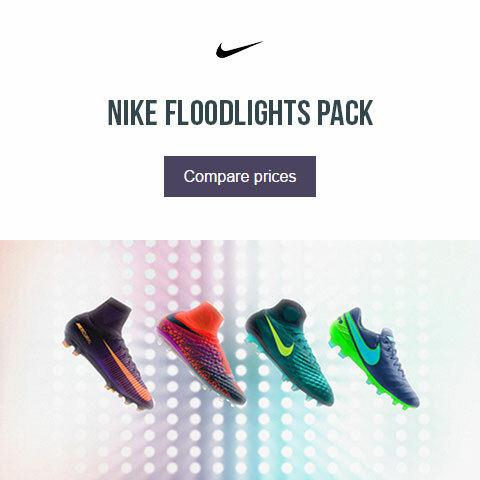 At the beginning of October, they released the vivid Floodlights Pack across all four of their football boot models - the Nike Magista, Mercurial, Hypervenom and Tiempo. 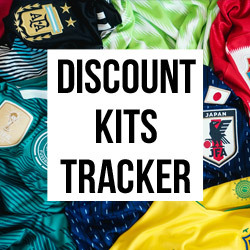 With the days getting shorter and visibility decreasing, the Floodlights Pack aims to bring a pop of vibrant colour to football pitches up and down the land - from drama-fuelled Champions League games, to frosty junior football sessions upon floodlit 3G pitches. Winter is here. Judging by the response on social media, the new FC Barcelona third kit is set to become one of the most popular releases this season. The cyan infused striped gradient is reminiscent of the classic 90's shirt worn by the likes of R9 Ronaldo, and this shirt itself could become a future classic. 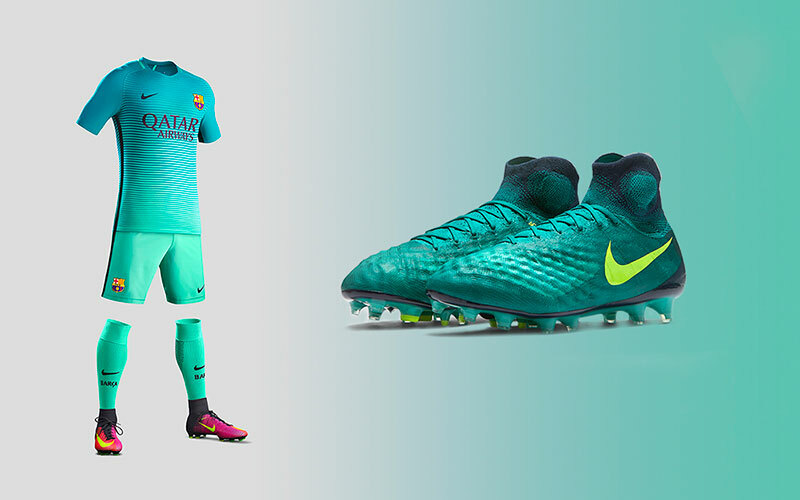 To add the finishing touch to this splendid design, we have coupled it with the Floodlights Pack Magista - a model popular among Barcelona midfielders such as Andres Iniesta. Definitely a pairing to stick on your Christmas list. The new Inter Milan 16/17 third kit is likely to be seen several times on the Europa League stage this season. You may even catch it at Southampton this Thursday night (3rd November). It’s been commented on various times for its resemblance to a can of Sprite, and it's easy to see why. The bold blue fades into a very loud shade of green, extending all the way down to the socks. After sacking Frank De Boer, Inter Milan will be hoping it offers a bit of fizz to their attacking play. To offset this loud design, the Tiempo brings down the volume a touch. 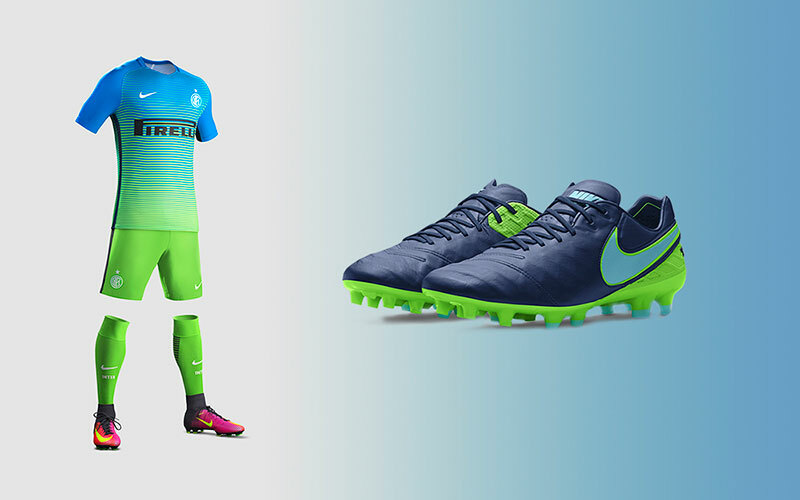 The main navy colour is contrasted with those bright cyan and green shades we see on the shirt. One for the defenders with a bit flair perhaps. Show us a bad AS Roma kit and we'll show you a liar! The Italian giants have been spoilt with clean designs over the years, and while this one takes them in a different direction, it's still easy to fall in love with. 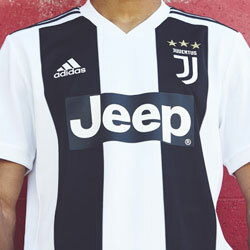 There's a real sun-kissed vibe about this AS Roma Third football kit, which will bring some much needed warmth to those icy Europa League fixtures. The orange tones match the accents of the new Mercurial Superfly, with the striped design on both providing the perfect fit together. The darker hues of the Mercurial offer contrast with those bright orange socks. Pretty fly for a Superfly. Paris St-Germain don't do bad kits. Their 16/17 collection carries on that trend. 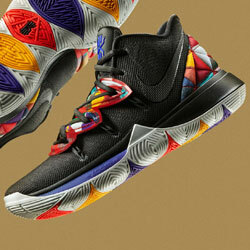 They tend to stray away from some Nike templates and when the alternatives are this good, who can blame them?! This PSG away kit is an absolute beauty. The fulsome red design is completed with blue and white accents that are a nod to the French national flag, the Tricolore, as well as PSG’s own trademark shades. 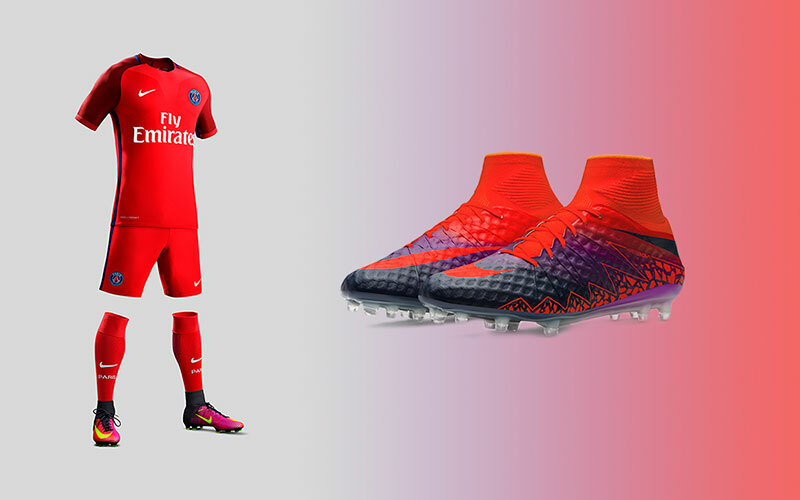 The red, orange and purple shades of the Floodlights Pack Hypervenom round this kit off nicely - the perfect extension to this red beauty. There you have it. You’ve got no excuse not to look dapper on the pitch now! Let us know your favourite combo in the comments below. Make sure you follow us on Facebook, Twitter, Instagram and YouTube! 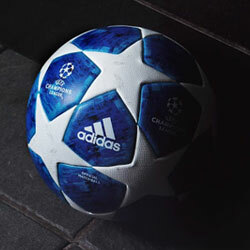 Are you a midfield playmaker or a fleet-footed forward? 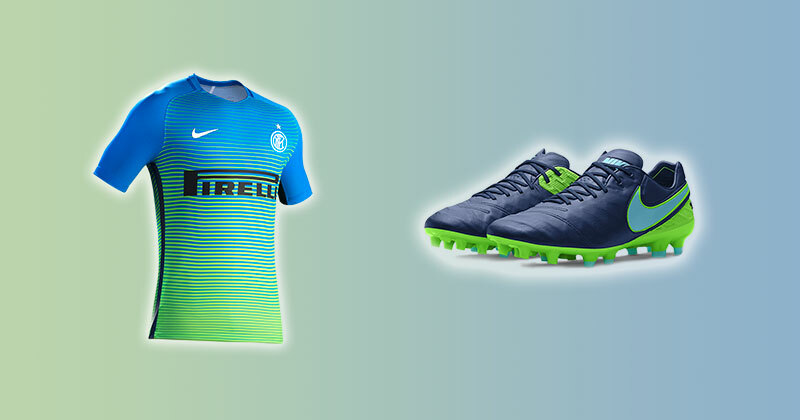 Here's your guide to which Nike football boot is best for you!